In case your computer is taking a while to start, it is likely that a number of unnecessary Apps are opening at startup and slowing down your computer. 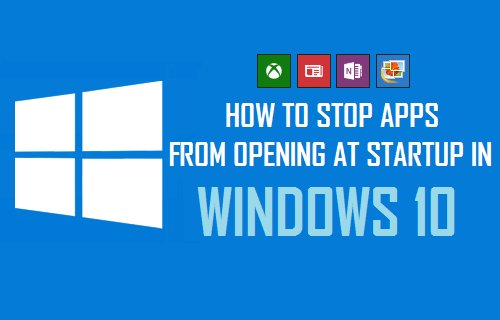 You will find below the steps to Stop Apps from Opening at Startup in Windows 10. Many programs that you download and install on the computer have a tendency to add themselves to the Startup List of programs on your computer. As you continue using the computer, you may eventually come to a situation where too many programs might be starting up with the computer. This can slow down the startup time of your computer and also impact its day to day performance, if the Startup Apps continue to run in the background. Luckily, it is easy to Stop Apps from Opening at Startup in Windows 10 and prevent them from slowing down your computer. 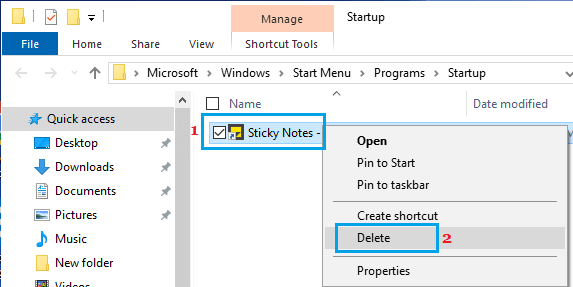 Follow the steps below to stop any App or Program from opening at startup in Windows 10 using Task Manager. 1. 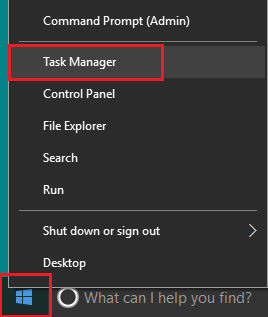 Right-click on the Start button and click on Task Manager. 2. On the Task Manager screen, click on the Startup tab > click on the Program and click on Disable to prevent this App from opening at startup on your computer. Note: If you cannot see the Startup Tab, click on More Details option located at the bottom left corner of your screen. 3. Similarly, you can find other Apps and Programs that are opening at startup and prevent all those unnecessary Programs from opening at Startup on your computer. Note: If Disable button is greyed out or unavailable, login with you Admin Account. 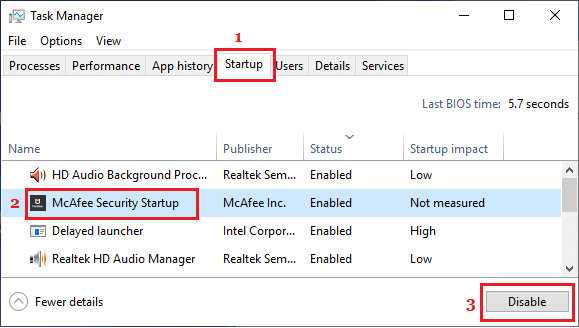 Another way to Stop Apps from opening at Startup in Windows 10 is to remove the App from the Startup Folder on your computer. 3. 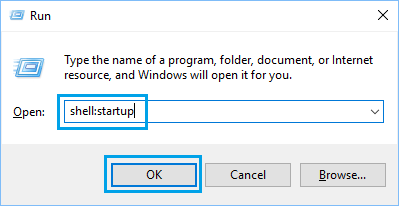 In the Startup Folder, right-click on the Program that you want to prevent from opening at startup and click on Delete.